Joyce, as everyone calls her, knew since college that she wanted to work in real estate. 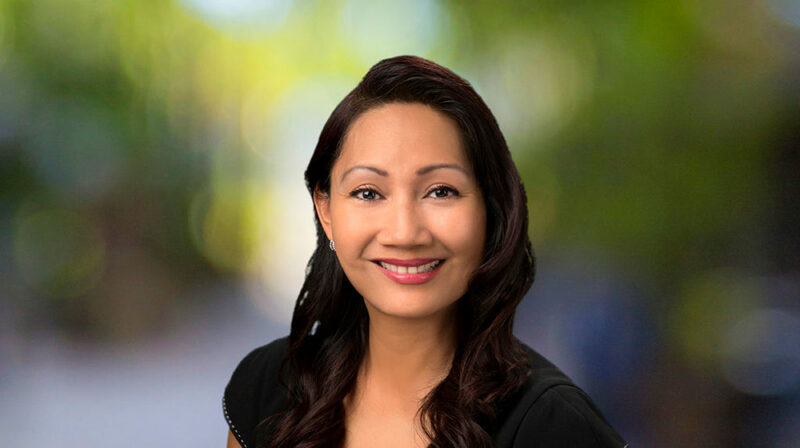 Born, raised and educated in Honolulu, Joyce graduated with distinction from the University of Hawaii (UH) earning a BA in Business Administration with a major in Real Estate and Marketing. After UH, Joyce devoted more than two years as a Real Estate Analyst for an appraisal company where she gained experience in commercial and residential property valuations. She dedicated another two years as a Project Coordinator with Hawaii’s oldest escrow company and managed a team overseeing recorded interests of such clients as Marriott Hawaii. In 1998, Joyce found her true calling when she became a Realtor-Associate and began actually selling real estate. Besides being with her family, Joyce is happiest when she is helping her clients buy or sell a home. Almost all of Joyce’s business comes from referrals, which is a strong testament to the quality of service that her clients have come to recognize, value and appreciate. As focused as Joyce is on her real estate career, she is equally dedicated to continuing education. She has her Brokers license and has acquired her Certified Residential Specialist (CRS) designation – a designation which only 4% of the nation’s realtors have the privilege of holding. Joyce’s strongly ingrained work ethic coupled with her extensive real estate education and experience makes her the ideal agent to help you with the monumental step of buying or selling a home. Choosing an agent to assist you with what may be the largest financial transaction you will enter into, is a critical decision. You could not do better than choosing Joyce Banas. It will be the best decision you’ll ever make!